Carlsbad, CA (May 27, 2011)– On Monday, LA Galaxy midfielder Landon Donovan was named to the U.S. National Team’s 23-man roster for the upcoming CONCACAF Gold Cup. 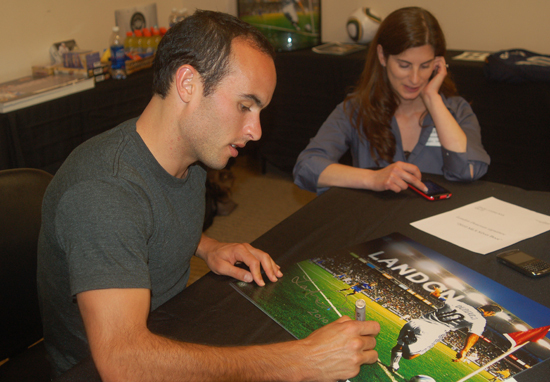 During the same week Donovan was named to his fifth U.S. roster for the Gold Cup, Upper Deck, the sole manufacturer of Major League Soccer (MLS) trading cards, is proud to release an exclusive video interview with the superstar the company captured last month at his first official autograph-signing session with Upper Deck Authenticated (UDA), the company’s coveted memorabilia division. Both Upper Deck, the worldwide leader in sports trading cards, and UDA announced on April 21 that the Galaxy phenom signed multi-year contracts to represent both entities as an exclusive spokesman. The agreements mean that Upper Deck and UDA will be the sole providers of autographed trading cards, memorabilia and game-used equipment from the world-renowned MLS standout. The 29-year-old joins fellow superstar athletes Michael Jordan, LeBron James and Tiger Woods as exclusive spokesmen for Upper Deck and UDA. 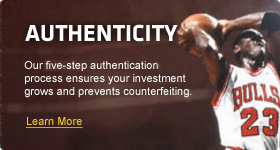 UDA, which follows its patented five-step authentication process with each signature, currently has an eye-popping assortment of Donovan-autographed pieces available at its online store: www.upperdeckstore.com. 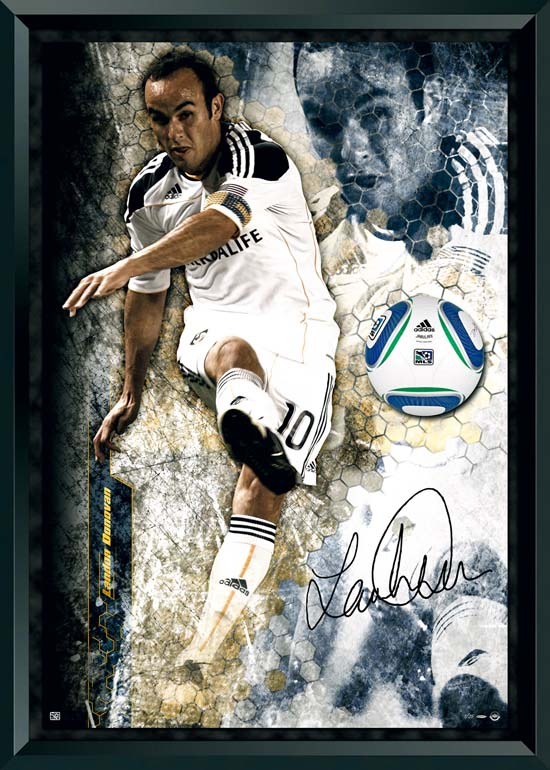 Items range from FIFA World Cup and MLS Match soccer balls; 8” x 10” and 16” x 20” photos; L.A. Galaxy jerseys; and special, limited-edition items including UDA’s patented “Breaking Through” displays, which showcase an action print of Donovan in mid kick with a soccer ball actually breaking through the frame’s Plexiglas to provide a jaw-dropping, 3-D effect. Look for additional autographed and game-used items spotlighting Donovan’s prolific career next month. The CONCACAF Gold Cup begins on Sunday, June 5, at Cowboys Stadium in Dallas before culminating with the tourney final on Saturday, June 25, at the Rose Bowl in Pasadena. The U.S. will compete in Group C, where they will face Canada at Ford Field in Detroit on Tuesday, June 7, Panama at Raymond James Stadium in Tampa on Saturday, June 11, before wrapping up against Guadeloupe at LIVESTRONG Park in Kansas City, Kansas.